Are you currently considering buying life insurance? Do you feel like you’re not doing enough for your family without it? Life insurance is not as straightforward as most people think. Below, we’ll give you a simple definition of life insurance and then list out six things you must consider before you begin spending money on a policy. Let’s start with a quick definition of life insurance to ensure there’s no confusion before we dig into the process of buying a policy. Fortunately, it’s rather simple. Life insurance is a policy that will pay out to your loved ones upon your death. It can also pay out after a set period of time. We’ll explain this option in a moment. It is often possible to withdraw funds from life insurance in certain situations, too. For example, some people have relied on life insurance after an injury kept them from working. Now that we have the definition of life insurance out of the way, here are the six things you need to know before spending any money. Although we mentioned that life insurance could become a source of money if you hit hard times, it’s hardly the only option for this kind of emergency fund. For the most part, life insurance is for people who have children or other dependents. A policy ensures they will be looked after once you’re no longer able to be there for them. Until you have dependents in your life, though, it’s hard to think of a good reason to buy life insurance. Some people would argue that they’re just planning for the future. Someday, they will have a family and then the policy will be worth it. Still, in the meantime, your money is best spent on other options (e.g. investments). Next, you need to know that there are two different types of life insurance: term and whole. Just as the name suggests, term life insurance only lasts for a certain length of time. For this reason, it’s also the more affordable of the two options. Whole life insurance is also aptly named, as it lasts for your whole life. It’s more expensive because it may only last a week or it could last for several decades. You can also borrow against whole life insurance, which is another reason people prefer it. This isn’t something you want to take lightly, however, borrowing against your life insurance comes with a number of advantages. The IRS doesn’t see it as income, so there is no tax. As you’re borrowing from yourself, you also don’t need to validate your reason to anyone. Your credit score won’t be affected by this kind of loan, either. Term life insurance isn’t without its benefits, though. As we already mentioned, it’s more affordable. This is generally very helpful for parents who want to make sure their young children will be taken care of if anything happens to them but can’t afford whole life insurance payments. If you’re in this situation, you can take out term life insurance for a set period of time, until your child reaches 18, for example. At that point, you might assume that they’ll be able to look after themselves if you and your spouse pass away. Some people also use term life insurance policies to help pay back debts. Again, they can schedule the term to end when their debt is due, cash in their policy and pay it back that way. How Much Will Your Loved Ones Need? The life insurance industry is full of agents who will try to sell you “one-size-fits-all” policies. In essence, they’ll sell you the most expensive policy you’re willing to buy. What you should be doing is taking the time to consider how much your loved ones will need in the event of your death. There is no “rule of thumb” for this. If you were to pass away today, how much would it cost for your family to make their monthly bills? Would your spouse have to take on extra costs to look after your children? Do/would they work? Are there future needs you can plan for? Take your time thinking these things through before you buy life insurance. You don’t want to go to the trouble of paying for a policy that won’t do nearly as much as you had hoped for your loved ones. Speaking of the industry, you can’t simply assume that one insurance provider is as good as the next. You’ll also need to take time to research your options. Your policy will only be as good as your provider. Obviously, the longer a provider has been in business, the better. You want to look into how they invest their customers’ premiums, as well. If anything about your provider hurts your confidence in them, go with someone else. It never hurts to have a second pair of eyes when making this kind of important decision, especially if it means someone with a bit more experience in the financial field. 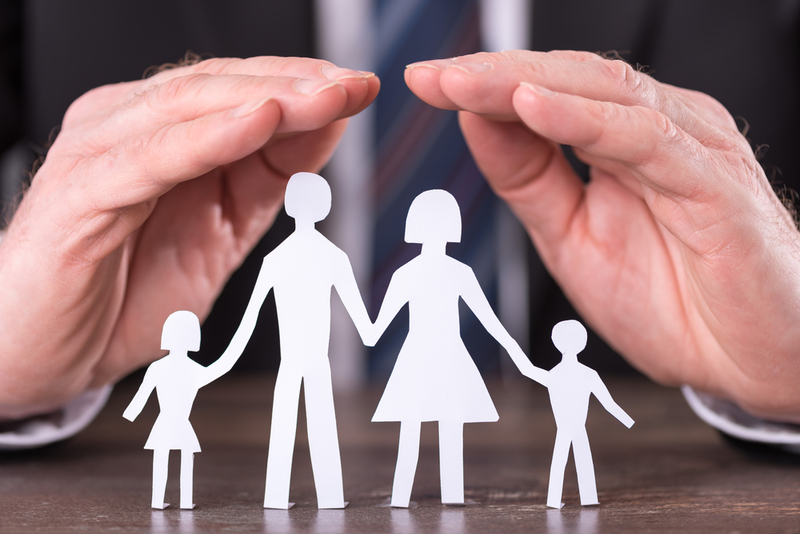 At Mooney Lyons, we understand how important life insurance is to our clients. We also know that most people have enough on their plate without having to spend their free time looking at one policy provider after the next. Contact us today and we’ll sit down with you to hear about your unique needs and then help you pick the appropriate policy from a reputable provider. The opinions voiced in this material are for general information only and are not intended to provide specific advice or recommendations for any individual. Loans from a permanent life insurance policy may be subject to penalties and fees and, along with any accrued loan interest. A policy loan could result in tax consequences if the policy lapses or is surrendered while a loan is outstanding. Guarantees are based on the claims paying ability of the issuer.